Buhari, who professes to be Mr. uprightness, to have praised the APC candidate in the Osun State governorship decision, Adegboyega Oyetola. At the point when the late Umaru Yar'Adua, a PDP president, came to control through a decision defaced by anomalies, he let it be known straightforwardly and quickly begun a procedure to improve the procedure to help all. But APC, even if they kill to win election, they are happy. PDP said that Buhari, by the action, had shown that his Presidency was behind the alleged electoral manipulations, outright rigging and bloodletting that even international observers said marred the process. 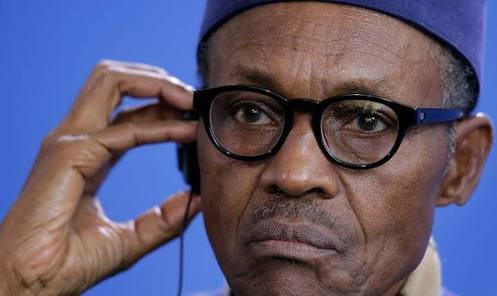 In a statement in Abuja on Friday, the PDP said it was sad that Buhari chose to ignore the observations of both local and international observers who he said monitored the rerun. “Nothing can be more reprehensive; while the entire world is condemning the process and the blood of the innocent that were maimed by the APC thugs is yet to dry on the streets of Osun State, the Presidency and the APC are busy celebrating a stolen mandate,” the party said. This came just as civil rights groups and chieftains of the PDP, including the President of the Senate, Dr. Bukola Saraki and ex-Vice-President Atiku Abubakar, berated INEC and the Buhari-led administration over the conduct of the Osun State governorship election. In a statement on Friday, Atiku described the declaration of the candidate of the APC in the election, Alhaji Gboyega Oyetola, as the winner as triumph of tyranny. He said the announcement did not tally with what happened in the state on Saturday, September 22, and Thursday when the rerun in seven polling units was held. According to him, the PDP candidate in the election, Senator Ademola Adeleke, won the poll. The former Vice-President stated, “The result just declared today (Friday) in Osun by the INEC in favour of the APC and its candidate is a travesty of justice. That was not democracy. That was a demonstration of tyranny. However, the African Democratic Congress, in a statement by its National Publicity Secretary, Mrs. Yemi Kolapo, said the supplementary poll was nothing but a sham. The party stated, “For a government that has failed to deliver on all its promises and has instead foisted untold suffering on citizens, while resorting to lies, bogus claims, witch-hunting to cover up its gross deficiencies, the Osun debacle was, indeed, a desperate last resort to retain power by all means. Meanwhile, the Police and the Centre for Democracy and Development have disagreed over cases of violence at the Osun State governorship election. Although the Nigeria Police Force said there was no record of violence during the supplementary poll, the CDD, in its assessment, stated that the conduct of some key stakeholders during the poll clearly ran contrary to democratic norms and standards. The police had debunked reports that thugs harassed some voters, journalists and observers at some wards, saying no one was prevented from carrying out their civic responsibility during the election. The NPF spokesman, Jimoh Moshood, said in a statement in Abuja on Friday that there was no official complaint of violence or injuries, stressing that the Inspector-General of Police, Ibrahim Idris, expressed satisfaction with the conduct of the police personnel during the poll. But the CDD, in a statement by its Executive Director, Idayat Hassan, berated the conduct of security agents and politicians, who she said took steps that were clearly inimical to the conduct of a free, fair and credible election. Hassan said, “The CDD observers reported several cases of denial of access to polling units to observers, and even voters. CDD’s field observers deployed to observe the process and ensure its credibility, especially in Orolu and Osogbo local government areas, were intimidated, threatened and in some cases arrested by security forces.